VoIP phones come in all shapes and sizes. 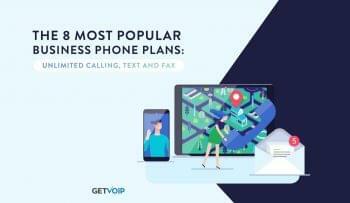 While GetVoIP has recommendations for any VoIP phone service that might suit your needs, there are some functional differences to know between various platforms, beginning perhaps with understanding what hardphones and softphones are. Hardphones are essentially hardware-based IP phones that exist as a physical device and act similarly to a traditional desk phone. IP hardphones look like phones. These devices provide a handheld receiver that lifts off a base, just like any other telephone. The base commonly provides a display – sometimes a touchscreen – as well as physical buttons for interacting with the phone’s various features. Softphones provide similar functionality as hardphones but exist as a piece of software installed on a computer, tablet or smartphone, thus giving these devices the capabilities of a VoIP phone. This application will generally include all the features you’d expect from a VoIP phone except that it’s a software package with graphical user interface (GUI) elements for the interface, such as a software dial pad comprised of buttons you click on a screen. While the overall features available on both hardphones and softphones are similar and maybe even identical in some cases, there are many functional differences between each configuration that are worth taking into consideration before deploying either – or both – of them at your company. Hardphones are commonly designed to resemble the old school telephones that most readers are likely familiar with, except they dial out over an IP network instead of using traditional phone lines. While they serve a similar purpose as telephones and have many of the same buttons for abilities such as muting a call or redialing a number, IP hardphones are quite different than conventional desk phones. Under the hood, VoIP hardphones are essentially mini computers, not unlike a smartphone or tablet, and they tap into the broader array of features that are capable with VoIP systems compared to your bog standard telephone. 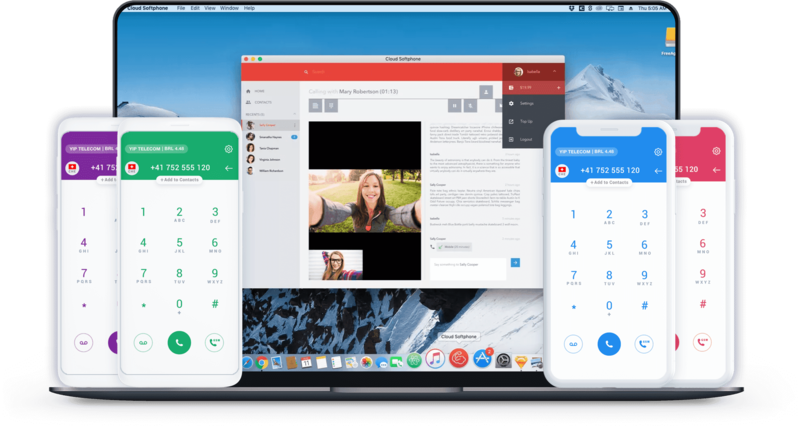 VoIP hardphones often have an integrated display and an operating system with capabilities that might include the ability to perform video calls from a built-in camera, for instance. IP hardphones may be of particular interest to someone who is already accustomed to using standard desk phones, though there are some inherent benefits to using hardphones over their software-based counterparts. For example, softphones are beholden to the uptime or stability of a machine such as your PC instead of running on a device that is dedicated to taking calls, as is the case with hardphones. Beyond the potential for having greater uptime, hardphones may offer more consistent call quality as the device is only tasked with handling your VoIP calls. Conversely, general purpose computing devices tend to be running a bunch of different software in the background and the resource requirements of these other applications may interfere with the performance of a softphone. On the downside, hardphones are more expensive than softphones considering the purchase of physical hardware is necessary, and they are slower to implement seeing as this hardware needs to be installed. Additionally, depending on the particular products, softphones may have a broader feature set that is more tailored to your needs considering this can be customized as a software package. Being that they’re just software, softphones can run on any compatible computing device with the required mix of hardware available to send and receive VoIP calls, such as a PC with a microphone and speakers. This includes desktops and laptops of course, but also tablets and smartphones, which have hardware equivalent to a PC as well as an operating system capable of running applications. Skype is probably the most familiar softphone example, though these programs can be better customized to your specific business. Perhaps the primary benefit to employing softphones is that they’re less expensive than hardphones considering no physical hardware is involved except the computing platforms that are already running in your office, and perhaps a headset attached to the machine as you would commonly find in most call centers. 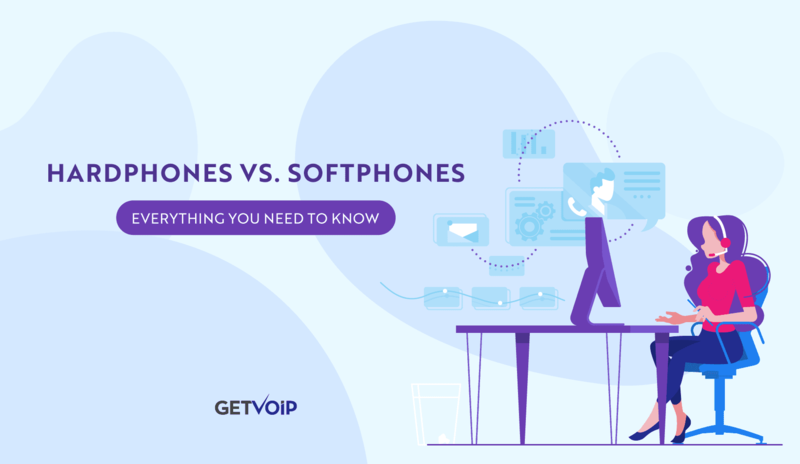 Besides the cost of a headset (if absent and necessary), the only expenses associated with deploying softphone are software licensing and service provider fees – assuming there are any. Many softphones are free to some extent. Along with being cheaper to implement, softphones are generally quicker to get going as they simply need to be installed on existing infrastructure and the software can be mirrored across an entire office of machines in one go, versus physically installing a new hardphone for each workstation. The costs associated with a softphone can also be scaled more easily to your workforce. It’s simple to increase or decrease the number of licenses or subscriptions whereas you could purchase a series of hardphones that wind up collecting dust. While dedicated hardphones are likely a better fit for the desk of an executive, softphones make an ideal choice for individuals who will be spending a majority of their day sending and receiving calls – again, such as folks who work at a call center. Softphones may also be of greater interest if mobility is a key factor in your purchasing decision, seeing as the software can be installed on any compatible computing device and carried wherever a worker goes. A hardphone is unlikely to ever leave an office. A physical, dedicated device that resembles old school telephones but works through voice over IP (VoIP) instead of a phone line. Also sends voice comms over IP, but installs as software that turns your computing device(s) into a VoIP phone. Think Skype. May be better because the device is dedicated to handling a call. May suffer from sharing system resources with other software. Varies. Generally has physical buttons such as a familiar dial pad, but some models have touchscreens with a full GUI. Software-based with GUI elements for all features, though these may work with keyboard and mouse shortcuts. Pricing tends to skyrocket with capabilities and overall feature-sets may not be as tailored. More customizable, extensible & interoperable. Extra features generally cost less in proportion. Typically always on and little downtime. Powered via Ethernet. May be affected by PC reboots or other system downtime. May feel more intuitive to use for someone who is already familiar with traditional phones. 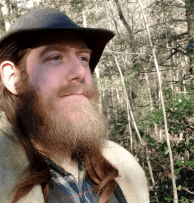 May involve more of a learning curve depending on experience levels with particular software. Not especially mobile, unless you want to haul a desk phone with you everywhere you go. Much more mobile. Can be run on a laptop, tablet, smartphone or any other computing device. Slower and more involved to implement on a company-wide scale as it requires new physical hardware to be installed. Quicker and easier to deploy and maintain. 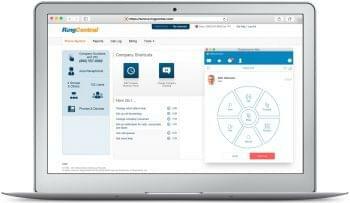 System admins can roll out and update VoIP software across all machines at once. More expensive. Involves new physical hardware that will tend to include a handset receiver and a base with features such as a display, buttons and camera. Less expensive because there is no new hardware, except maybe a headset if desired or not already owned. Pricing is limited to licensing and service fees. 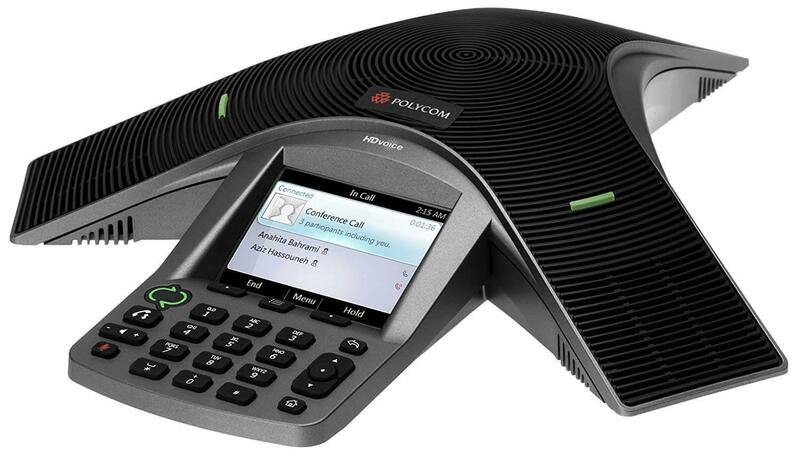 Although VoIP hardphones commonly resemble a coiled desk telephone and have a full-featured base, they are manufactured in a breadth of designs including some that borrow the style of a cordless house phone. These models range in price from less than $50 to more than $200 and as you can imagine, the bundled features vary quite significantly. Corded IP Hardphones – Again, these will generally look like old fashioned telephones with a large base that has a dial pad and other familiar phone buttons. Basic options for less than $50 will have a small monochrome LCD while units with a large color display or touchscreen will inevitably cost more, as do those that support a larger number of lines and include an integrated camera for making video calls. Cordless IP Hardphones – As noted, these are designed after the familiar cordless house telephones and typically come with a wireless receiver as well as a small base where signals are transmitted to/from, and where the receiving handset can be placed to charge its battery. Some models separate the transmission base and charging base so they can be placed in their ideal locations. Pricing likewise spans from less than $50 into the hundreds. Conference IP Hardphones – These devices are less conventional in appearance than you may be accustomed to for a phone. 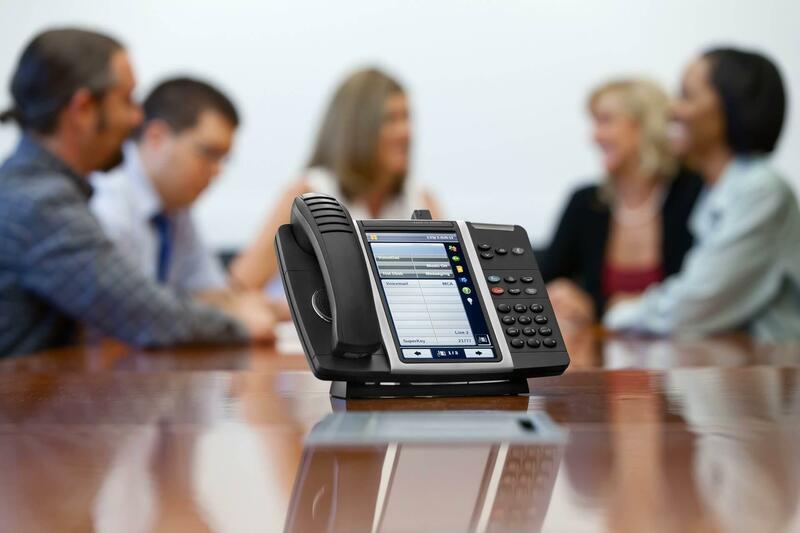 Instead of having a receiver that lifts off the base, conference VoIP phones tend to have a flat tripod-like body with a built-in microphone and speakers that can be used to share a call with an entire room of people. Similarly, you can also find speakerphone IP hardphones that have the same design concept but may not have as many conference-oriented features and may not emit audio in such an omnidirectional way. IP softphones also come in various packages, spanning from those that are more geared toward residential use on up to those with business-class features. And as mentioned previously, they can be designed to run on anything from a desktop PC to a smartphone. -New Customers Save 33% Annually -Unlimited Calling. -Omni-channel, Contextual Conversations in a Single Interface. 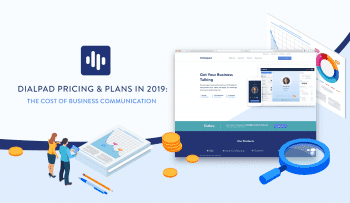 Both hardphones and softphones have their place in business communications, and in many cases, companies may choose to install each of them for different departments. In general, hardphones are better suited to someone who can benefit from the best possible call quality and uptime, but isn’t necessarily concerned about mobility or the cost of purchasing new hardware. Some workers may also simply prefer the experience of using a dedicated hardphone, having already become accustomed to the feel of traditional telephones. Softphones are ideal for companies who are more focused on the flexibility, scalability and price-per-feature ratio of their VoIP platform, as well as those who care more about quick and cheap deployment. They’re also a better fit for workers who require a mobile platform that can be used from laptops, tablets and/or smartphones while away from the office.